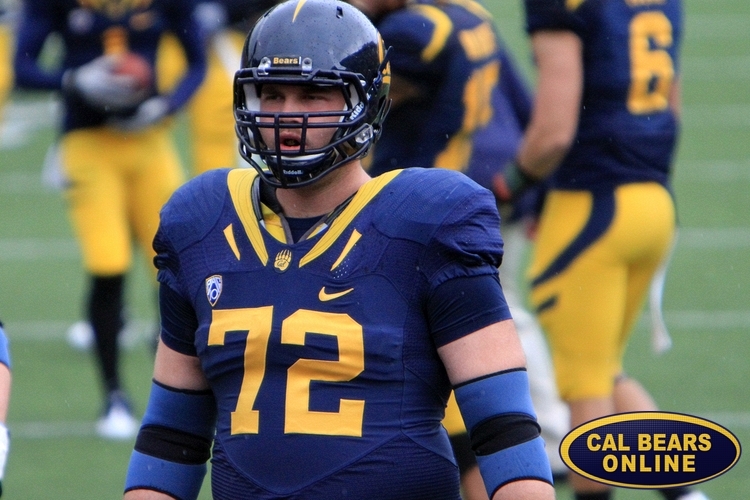 Will end up being a four-year starter for Cal. Possesses a tall, well-built frame, carries his weight well and is natural on the move. At his best in the run game where he does a nice job sitting into his three-point stance, keeping his base down and generating a good snap through the hips into contact. Doesn’t waste much motion getting upright off the ball, stays down, possesses a strong lower half, runs his legs through contact and gains solid leverage with his hands. Routinely is able to get into opposing defenders quickly and create a push at the point. Plays through the whistle and takes pride in finishing blocks. However, also looks effective on the move, displays good body control off the snap with the initial quickness to get around on reach blocks and seal. Displays good coordination down the line on slide down blocks as well and can reach opponents at the second level. Lacks ideal body control when looking to drop his pad level and cut down on contact, but stays low off the ball into space, extends his arms and can seal backers down the field. Is still developing as a pass blocker, displays solid range off the edge and looks athletic enough to reach speed. However, struggles to keep his base down, isn’t real technically sound/compact with his footwork and has a tendency to get overextended and double over the waist when looking to anchor. Takes good angles initially, but struggles to shuffle and slide through the play. Loses his balance easily and can be overwhelmed easily on contact because his weight is typically on his toes and he doesn’t stay real compact with his footwork lunging into contact. Does a much better job keeping his hands up and base down when he needs to block down or handle bigger/slower defensive ends off the edge where he can play with power. However, vs. speed he chicken wings his arms on his drop in order to create momentum, exposes his frame and doesn’t keep his hands up ready to uncoil on his punch. Impression: Displays solid athletic ability, but looks better suited to play on the right side in the NFL vs. less speed. A nice mid round type draft pick who could eventually fight for playing time. Cal OT Mitchell Schwartz (6-5/317) emerged as the top outside lineman on the North. Schwartz does not play as long as his measurements indicate, but shows the same toughness his brother Geoff possesses with the Panthers. Mitchell learns quickly, remembering how he was beaten in a previous rep and adjusting his feet/hands/posture accordingly. Schwartz is not flashy, but should at least carve out a career as a rotational, utility lineman. Strengths: Excellent in the run game as he fires off the ball low and stays low through contact. Strong lower body with surprising athleticism. He is a good move blocker into the second level and on reach blocks. He blocks through the whistle and will block his man into the sidelines if need be. He’s athletic enough to get to the edge in pass protection and takes good angles. 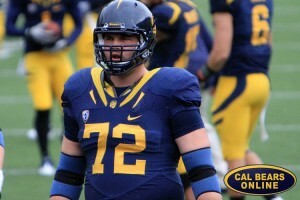 Four year starter for Cal that is undervalued at this point. Weaknesses: Still a work in progress in pass protection. He will need to play right tackle to avoid speed off the edge. He has a tendency to overextend trying to get to the edge. His footwork in pass protection needs a little work (kick-slide is sloppy at times, crosses feet). He becomes a waist bender and allows for too much exposed area for defenders to knock him off balance. Mitchell Schwartz is a mid round line prospect, probably best suited to playing right tackle, although I think he could also play guard. Better as a run guy than as pass blocker. Has some athletic ability, but not a lot. Not a knee bender, which is so critical. Strong, tough, smart player. Will struggle against speed guys. Has some technique issues to work through. Not going to be a star, but is a guy who can come in and be a valuable backup, and potentially, at least in a few years, start at right tackle. We don’t know what the Giants have in James Brewer, who came out last year as such a project. Schwartz is a bit more of a known entity; strong in run, can play multiple positions, will give you his all and is tough as nails. That’s the kind of lineman I like. Mid round, can be had in the 5th round and will be a valuable backup and 3 positions.